The Australian Defence Forces’ (ADFs) Parachute Training School (PTS) is one of several units that form the Australian Army’s Special Operations Command (SOCOMD). PTS is located in Nowra, NSW, at HMAS Albatross and provides the ADF with training in all areas of personnel parachuting. This article is divided into a number of sections for easier reading, starting with brief a background to military parachuting, followed by the role and organisation of the PTS. There is then a brief outline of the courses available and eligibility, moving onto the paratrooper allowance and then the Australian Army’s Parachute Display Team, otherwise known as the Red Berets. Finally the article will look at tendering for services and the PARASIM® Network as well as provide some useful links and documents. The first military parachute training unit in Australia was the Paratroop Training Unit (PTU), formed at Laverton in Victoria on 03 November 1942. On 16 November 1942 PTU was relocated to Tocumwal in New South Wales (NSW). The PTU was once again relocated, this time to the Royal Australian Air Force (RAAF) Base Richmond on 06 April 1943. In August 1943 official approval for the raising of the 1st Australian Parachute Battalion was given, although it was never committed to operations and was disbanded in January 1946. The PTU remained at RAAF Base Richmond until it was disbanded at the end of WWII in 1945. After WWII, the need for a military parachute capability was not immediately apparent and would not reappear until 1951. In October 1951, parachute training was reinstated at a joint Air Force-Army Parachute Training Wing (PTW) located at RAAF Williamtown, NSW, as a result of the creation of the airborne platoon of the Royal Australian Regiment (RAR). This unit, created as Australia’s first tentative post war step towards a nascent SF capability, was the predecessor of the Special Air Services (SAS) Company, itself formed in June 1957. The PTW, formed as a branch of the School of Land/Air Warfare, supported the parachute training of members of all three services. The first Officer Commanding/Chief Instructor PTW was a RAAF Squadron Leader (OF-3) and the first course of trainees commenced in September 1951 with instructors from both the Army and the RAAF. In 1958, PTW was re-designated the Parachute Training Flight and organised under the Air Support Unit. For twenty years military parachuting remained the preserve of SF until a 1973 seminar at the Infantry Centre garnered strong support for a conventional airborne capability for the Australian Army which resulted in 6 RAR forming a trial airborne company. However, the Australian Army would have to wait another 10 years before anything came of the’trial’. 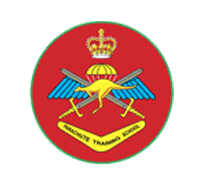 On 14 May 1974 responsibility for parachute training passed to the Australian Army and PTW was renamed the Parachute Training School (PTS), still located at RAAF Williamtown. The Commanding Officer/Chief Instructor of the PTS was now an Army Lieutenant Colonel (OF-4). It was not until 1981 that calls for a conventional airborne capability were renewed, with Delta Company (Sixth Battalion, The Royal Australian Regiment) given the parachute role (Farrow, 1989). In June 1983 it was announced that 3 RAR would become the new parachute-capable battalion (Farrow, 1989). Aesthetically, the airborne role was refined in 1985 when approval when granted for 3 RAR to wear the distinctive parachute (or ‘jump’) wings of the 1st Australian Parachute Battalion and the maroon beret associated with airborne across the globe. The SAS and Commandos also developed their own version of parachute wings. In 1986, PTS moved to purpose-built facilities in Nowra, NSW, as a lodger unit of the Naval Air Station at HMAS Albatross. As part of restructuring announced during 2006, 3 RAR was reorganised as a rapid deployment light infantry battalion and the Army’s parachute capability essentially became the remit of the Commandos. 3 RAR is now part of 3rd Brigade within Forces Command. In 2011 the PTS became a SOCOMD unit where SF and support role paratroopers are trained in various forms of airborne capability, evaluation and testing of personnel parachute systems and associated equipment are carried out. All personnel parachute systems are repacked and repaired organically by Parachute Maintenance Wing. PTS is now responsible for all individual parachute training in the ADF. In addition to its training role PTS also supports parachute units’ activities around Australia, as well as trials and develops new equipment. The role of the PTS is to train members of the ADF and other authorised personnel to parachute and to develop parachute doctrine and equipment to meet Army’s needs, now and in the future. The PTS is one of several organisations under the umbrella of SOCOMD, commanded by a Brigadier (OF-6). The day-to-day operations of the PTS are the remit of the Commanding Officer, a Lieutenant Colonel (OF-4). The organisation of the PTS is outlined in Figure 1. The motto of the PTS is ‘Knowledge dispels fear’. Static Line: typically used for massed insertion; it involves paratroopers hooking onto a strong point in the aircraft, jumping from altitudes between 800 and 1000 feet and descending under a symmetrical canopy onto land or into water. Military Free Fall: normally involves highly-qualified paratroopers exiting from an aircraft at up to 12,000 feet and going into free fall in a team formation before opening their own parachutes at a designated altitude then flying as a team to a target. High Altitude Parachute Operations (HAPO): involve teams descending with oxygen from up to 25,000 feet. The PTS maintains one of the best safety records in the world, with close to 500,000 descents without a student fatality. Special Operations Engineer Regiment Sapper. Personnel currently eligible for Paratrooper Allowance can be found here: Paratrooper Allowance Amendment (2012-05-08). The Australian Army Parachute Display Team, referred to as The Red Berets, was formed in May 1974. The team’s members are drawn from instructional and support staff at the PTS. Team members are all qualified military freefall paratroopers who undergo extensive training prior to selection in the display team. Many hold advanced military and civilian qualifications and compete at national and international level. Although the team is made up of Army members, it is often supported by aircraft from both the Navy and Air Force. The Red Berets provide displays around Australia, demonstrating the skills that reside at the PTS by exiting from the aircraft, developing a team formation and landing together with pin-point accuracy with flags flying and smoke billowing. The skills on show reflect the operational requirement of a team insertion into a small area by stealth. The display provides a limited insight into ADF airborne operations, while demonstrating the military skill and discipline required by a team operating in a high risk environment. Static line, medium and high level free fall parachute operations (including initial and continuation training and training development). Administrative moves of personnel and equipment. During 2012, Systems Technology Inc. (2012) worked with a local representative, Defcon Technologies Ltd, to upgrade the Australian Army’s PARASIM® network at the PTS. The six-station network, originally installed in 2008, was upgraded to PARASIM® Version 5 with complete replacement of all simulation computers. PARASIM® 5 was developed by Systems Technology Inc., based in California, as a safe, efficient and cost effective solution to parachute training for airborne premeditated static-line and freefall operations for aircrew emergency bailout and ejection. PARASIM® is a parachute simulation software package which aids military parachute operations, without putting soldiers/crew at risk, while training for search and rescue, combative warfare, and bailout ejections. It is intended to enhance such training operations as Static Line, Military Free Fall, and High Altitude Parachute Operations, solution offers graphics with scene extents over 200 miles across, canopy malfunction simulations, custom wind field entry system, software controlled motorised frames, and jump log recording system. The Book ‘Eagles Alighting – A History of 1 Australian Parachute Battalion’ by J.B. Dunn published in 1999. The Book ‘Australian Airborne: The History and Insignia of Australian Military Parachuting’ by John Michael O’Connor published in 2005. AusTender (2013) The Provision of Fixed Wing Aircraft Services to Support Parachute Capability. Available from World Wide Web: https://www.tenders.gov.au/?event=public.atm.showClosed&ATMUUID=B329D023-E3A2-A2F2-5505BB7D18B180CB. [Accessed: 28 September, 2014]. Farrow, G.B. (1989) Medical Support to the Parachute Battalion Group. Defence Forces Journal. No.76, May/June 1989, pp.11-18. Systems Technology, Inc. (2012) Systems Technology Launches New Version of PARASIM® with Six-Station Installation at Fort Bragg. Available from World Wide Web: http://www.systemstech.com/index.php/about/news_article/systems_technology_launches_new_version_of_parasim_with_six_station_install. [Accessed: 28 September, 2014].